The Öresund or Øresund Bridge is a double-track railway and dual carriageway bridge-tunnel across the Øresund strait between Scania (southernmost Sweden) and Denmark. The bridge runs nearly 8 km (5 miles) from the Swedish coast to the artificial island of Peberholm, which lies in the middle of the strait. 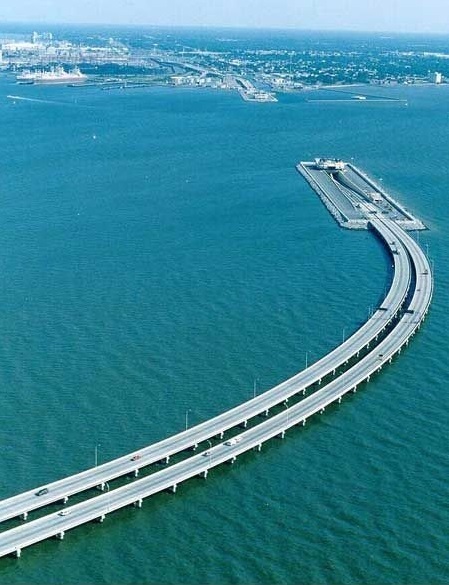 The remainder of the link is by a 4 km (2.5 mile) tunnel from Peberholm to the Danish island of Amager. The Øresund Bridge is the longest combined road and rail bridge in Europe, and connects two major metropolitan areas: Copenhagen, the Danish capital city, and the major Swedish city of Malmö. It connects the road and rail networks of Scandinavia with those of Central and Western Europe.